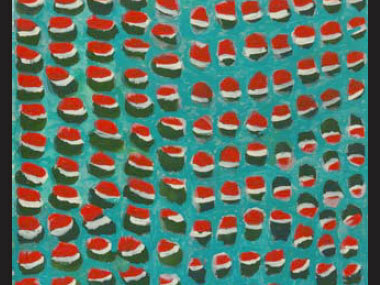 Yanoonggoo (New/Fresh) is Butcher's ninth exhibition with Brigitte Braun wo has been representing him since 1992. Yanoonggoo (New/Fresh) will open on Saturday 15 November from 3-5pm and runs till 6 December at Brigitte Braun Gallery, White Street, Windsor and can be seen Wednesday – Saturday between 1-4 pm or by appointment and on www.artplace.com.au. View the media release about Janangoo Butcher Cherel.